Killer Freebies! 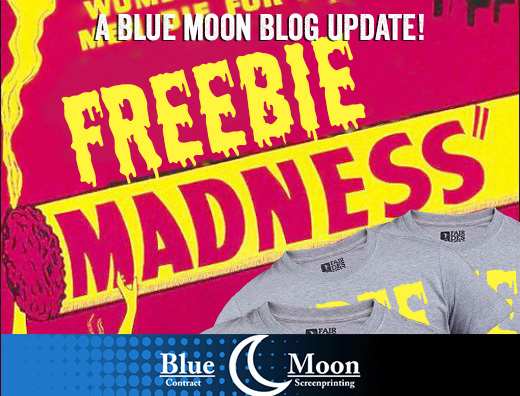 4 reasons to love a freebie and 1 to watch for. Everyone loves a freebie. But, the true power of a free giveaway actually goes a lot deeper. When someone gets something for free, they usually respond in some surprising ways. They either hold on to it or pass it on to someone who can use it. And because of this, the companies handing out freebies are usually rewarded for their generosity by creating a lifelong customer. Here are a few of the surprising ways consumers are affected by freebies. They’ll want to buy more. Promotional events are huge moneymakers, even though it would seem that the retailer would lose money. However, when people get something for free, they feel compelled to spend money. It’s called the “Reciprocity Principle”. It means you received a favor and you want to pay it back. Not only is it a basic law of Social Psychology, it’s also a major Marketing tool. It’s less risky. Here’s your chance to prove that you have something different to offer. People are much more likely to try something if it’s free. That’s why gyms or clubs usually offer a free one-day pass to people, tanning salon’s usually a free tan and it’s why grocery stores give away free samples. If the potential customer can try an item or product for free, and with no commitment, they are more open to trying something new. They talk more about freebies. Social media has made more companies aware of creating and keeping a positive reputation. Customers saying nice things about you on social media can be just as effective as traditional advertising, and it’s always cheaper, according to some studies. Companies are figuring out that the easiest way to get people talking is to simply give a sample away for free. According to several marketing studies, people who received a product for free talked about that product 20% more than people that paid for that product. This can create a massive amount of buzz at a much lower price than any traditional ad. It makes you memorable. Finding unique and interesting promotional items to give away is the first step in making a memorable and lasting first impression. You can add your logo, name and contact information to turn this a long-lasting marketing opportunity. By making the item useful or relevant, they will see your company as more favorable. That way the free gift does its job and creates that lasting buzz. It attracts people. Freebies attract two types of people, ones that buy and ones that want it because it free. Yep, some of your merchandise will be going to people that just want a free shirt and someone that might have become a loyal repeat customer will lose out. You’ll notice this at industry trade shows, some people are just there to fill their swag bag and some are truly looking for a new decorator or supplier. Choosing the right location or the right place to give your shirts away is a must. On the other hand, providing a freebie to everyone, helps those who are interested in what you sell to become customers if they like your product.